A shorter shaft makes it much easier to square the clubface and find the sweet spot at impact. The Moon Wood is shorter than typical fairway woods making it easier to hit and giving you greater consistency and control. 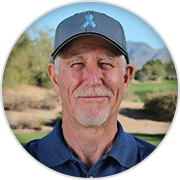 The Moon Wood’s high launch angle helps you get the ball up and in the air easily from almost any lie. 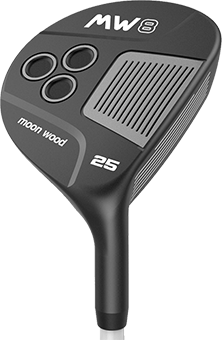 The Moon Wood’s super low profile delivers high launch and extra forgiveness. The Moon Wood’s flat sole glides lower on the turf for high launch and control. The Moon Wood’s stunning design gives you superior confidence at address. If you have a question about the Moon Wood 8 or if you’d like to order by phone, call our friendly customer service team at 888.241.2460 (Monday – Friday, 9:00 am-5:00pm CT). You can also send an email to [email protected].